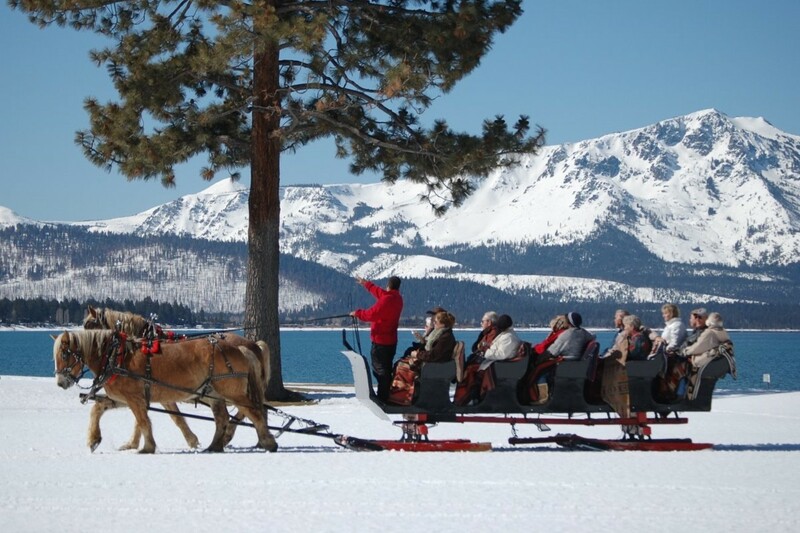 It’s no secret that many wedding couples have their destination weddings in Lake Tahoe so that guests can partake in experiential outdoor activities. 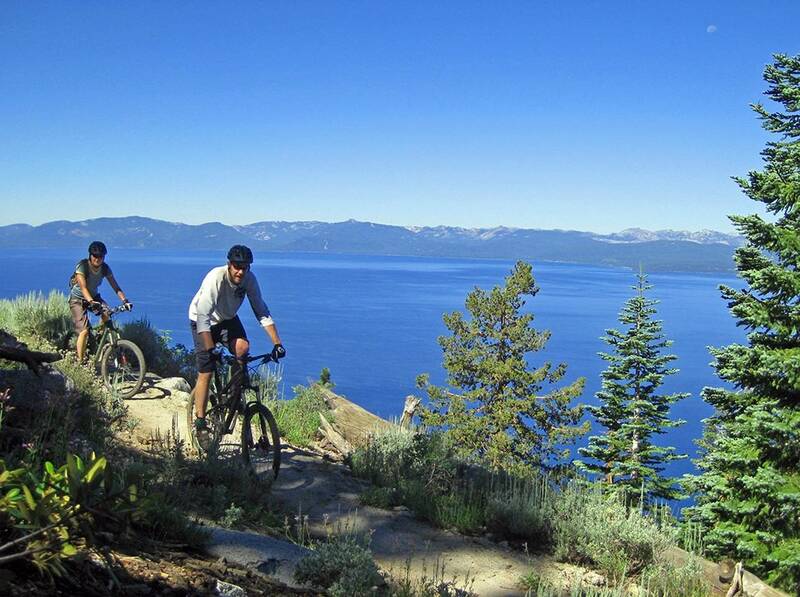 A bike “Tour de Tahoe” is a great way for your guests to take pleasure in the region’s scenic beauty, and there are many biking options available. 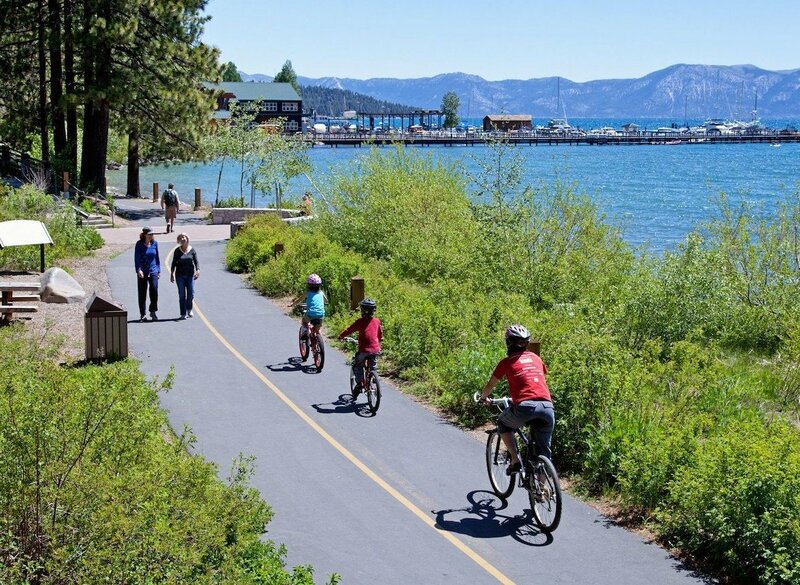 One of the safest – and one of our favorite – places to cycle is a paved bike path that runs for about 10 miles from Tahoe City along the West Shore to Sugar Pine Point State Park. You can rent bikes at the Olympic Bike Shop or Willard’s Sport Shop, then enjoy the happy trails and beautiful views. 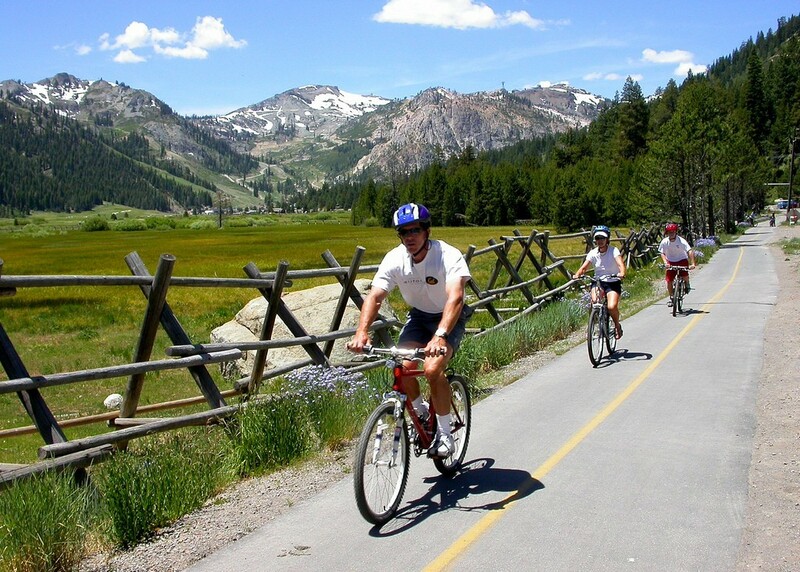 Another great paved trail goes from Squaw Valley along the Truckee River to Tahoe City, a distance of about 7 miles. Bike rentals are available from Parallel Mountain Sports and Mountain Mike’s Sports. Right now, there is major road construction as you reach Tahoe City, so the trail may be closed occasionally at this location. Otherwise, this Truckee River Trail connects with the West Shore Trail described above. So if you have a whole day available for bicycling, you can ride all the way from Squaw Valley to Sugar Pine Point State Park and back. The total round-trip distance is 34 miles. 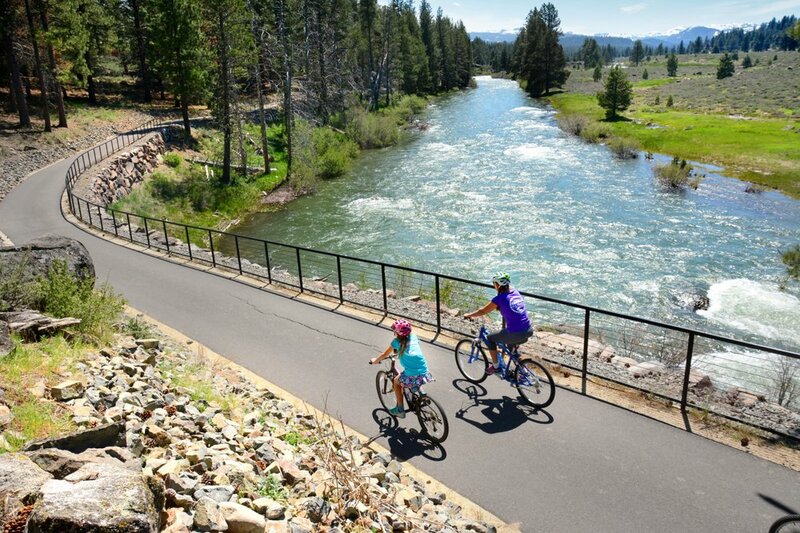 If your group is staying in the town of Truckee, there is another paved trail along the Truckee River that’s worth cycling – the Legacy Trail. 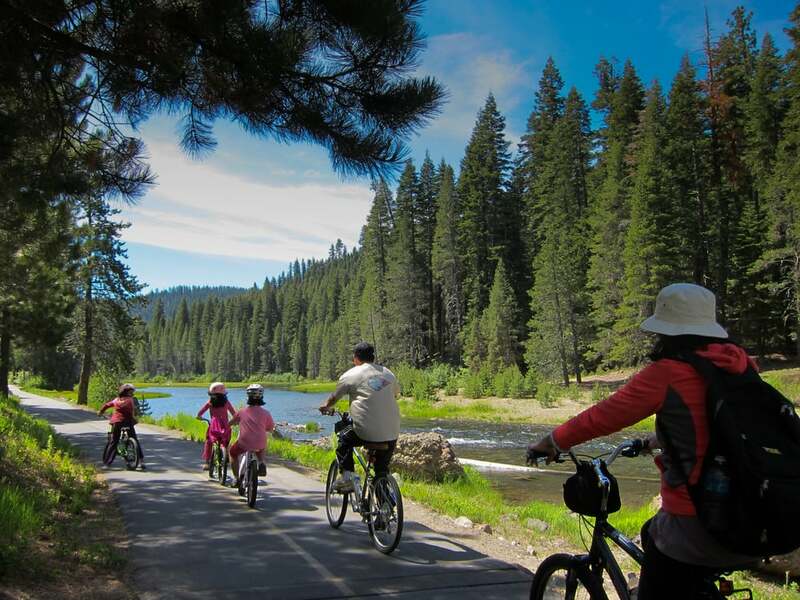 Rent a bicycle from Bike Truckee in the Historic District, and ask for directions to the trailhead. 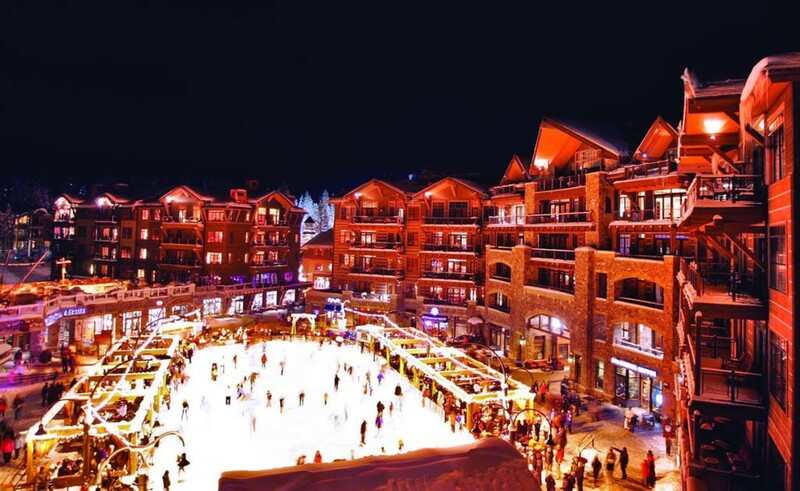 Perhaps your group wants something more adventurous than a paved path. 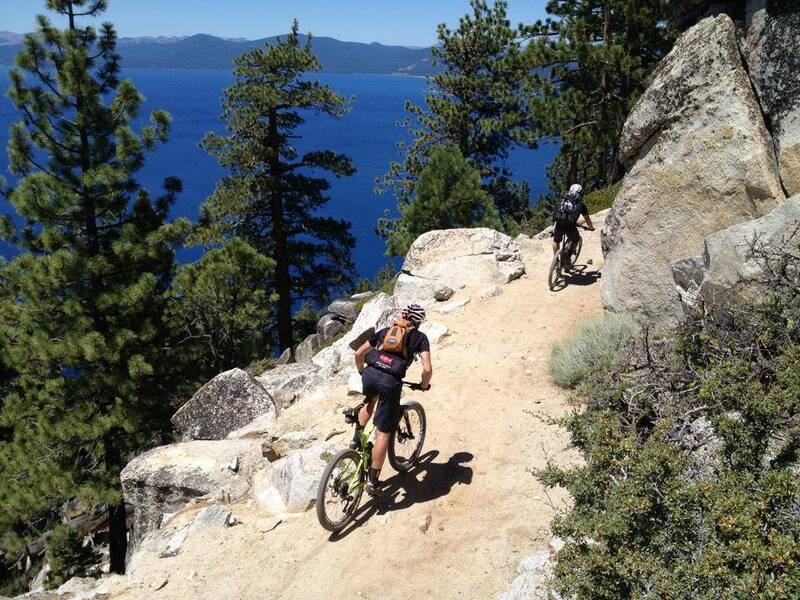 If so, there are many miles of mountain biking trails in the North Lake Tahoe region. 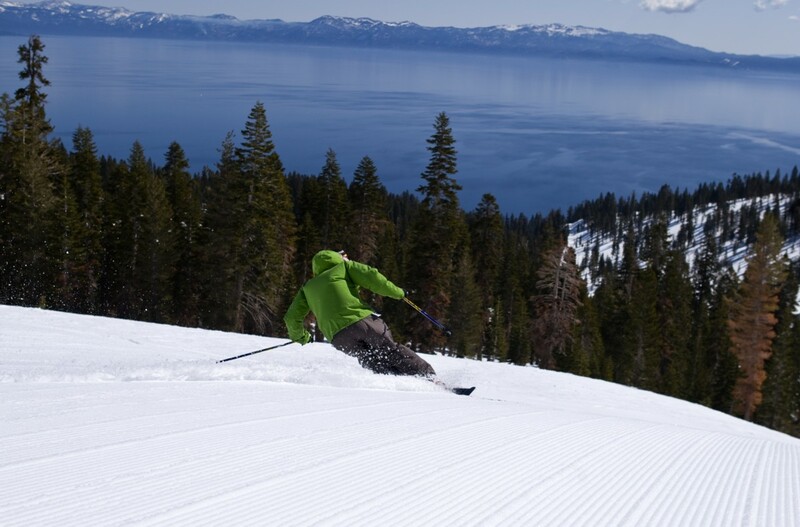 Our all-time favorite is the Flume Trail on the Nevada side of the lake. 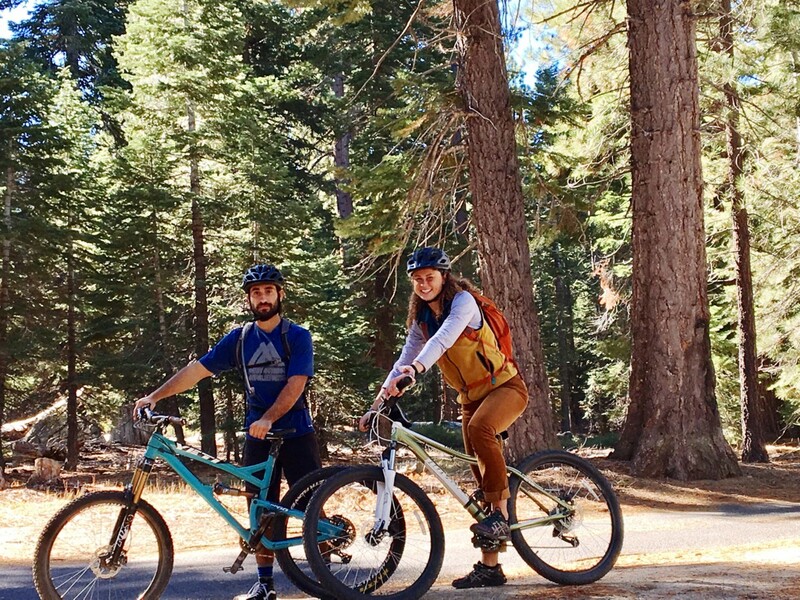 If you rent from Flume Trail Bikes, you can be shuttled for no additional charge to Spooner Lake, where this epic 14-mile journey begins. 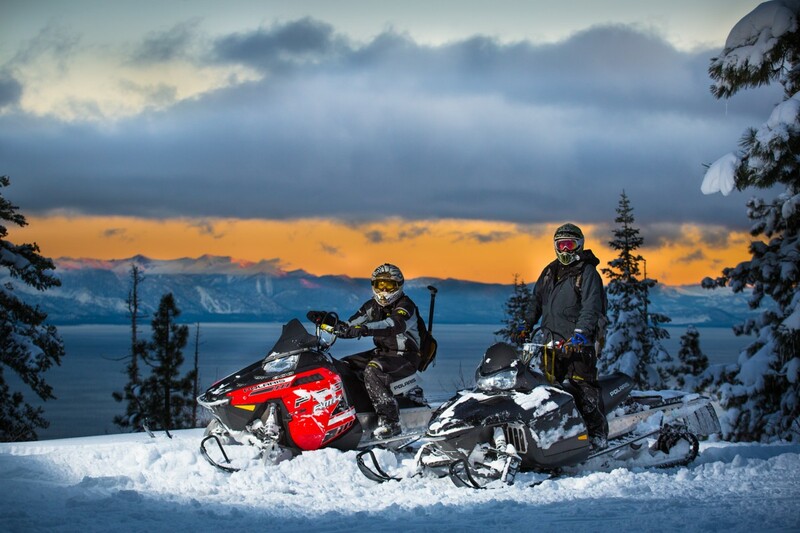 From Spooner Lake, the trail starts with a climb of over 1,000 feet before it descends to Marlette Lake. 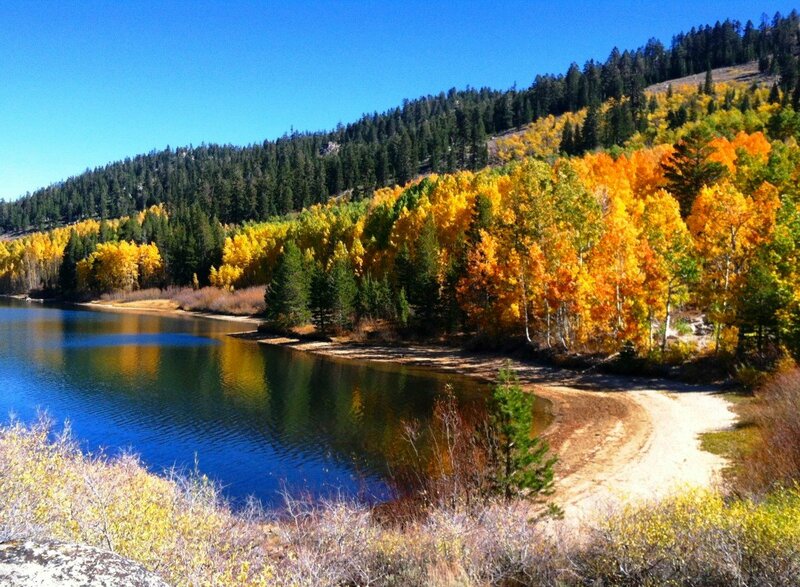 If your wedding is in the Fall, the aspen trees will put on a spectacular display of color. 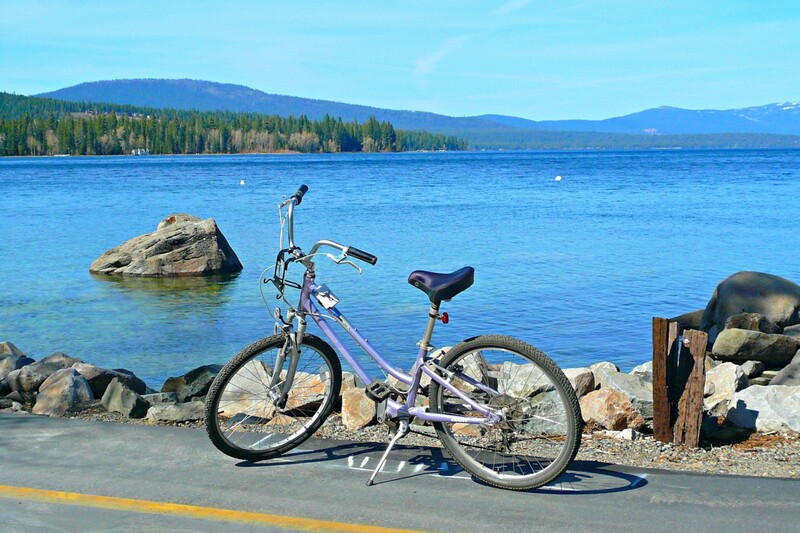 After a mile-long ride along the shore of Marlette Lake, the Flume Trail begins. 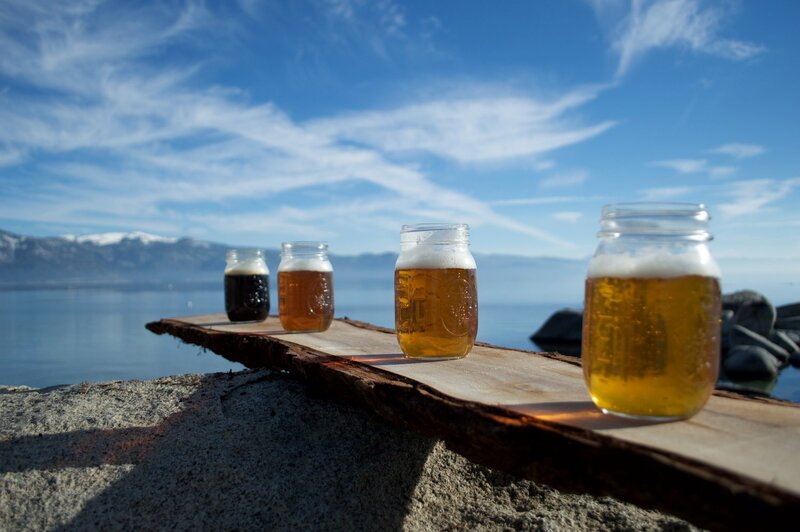 The views of Lake Tahoe are absolutely jaw-dropping! But there are many places along the Flume Trail where it is essential to keep your eyes on the trail, for safety’s sake. So if you want to take in the stunning vistas, look for a safe place to stop, then look to your heart’s content. Keep your bike as far to the right of the road as possible to allow for vehicles to pass. If emergency vehicles are coming, pull off to the side of the road and stop. Ride single file except to pass. Stop signs and stop lights apply to bikes, too. Yield to pedestrians crossing the road. If you need to cross the road, make sure cars have come to a stop before proceeding. Make proper hand signals when turning. 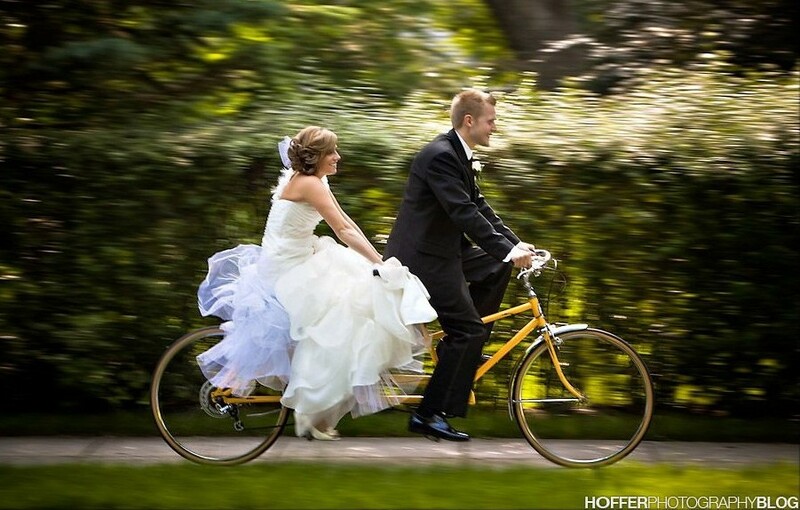 May your path to wedded bliss include a beautiful bike ride in North Lake Tahoe!